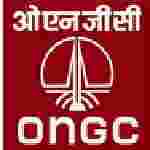 Delhi ONGC Domain Expert recruitment 2016-17 apply for 1 posts : ONGC, Mumbai welcomes application for the position of 01 domain expert vacancies for solar Thermal related activities of ONGC Energy Centre. Candidates who completed their B.Tech., M.Tech., M.Sc. is a good opportunity.The individuals who are the occupation seekers searching for govt employments in Delhi this is the best chance to apply. Competitors read the official notification then read all the guidelines and miners precisely then apply before the last date online application got. All the interested and eligible candidates can apply before 25th July 2016. Govt jobs for B.Tech., M.Tech., M.Sc. Educational Qualification for the Job: B.Tech., M.Tech., M.Sc. Academic qualification details: Candidates should have B.Tech / M.Tech / M.Sc. with specification in Mechanical / Electrical / Electronics / Production / Energy with 10 year experience in solar thermal related projects and / or research activities. Process of applying for the job: All the interested and eligible candidates can apply in prescribed application form along with photocopies of relevant documents and experience certificate send to the ONGC energy Centre trust, 2nd floor, Core – 2, SCOPE Minar, Laxmi nagar, New Delhi:- 110092 on or before 25th July 2016. Important Dates: Last date for the submission of application form is 25th July 2016.